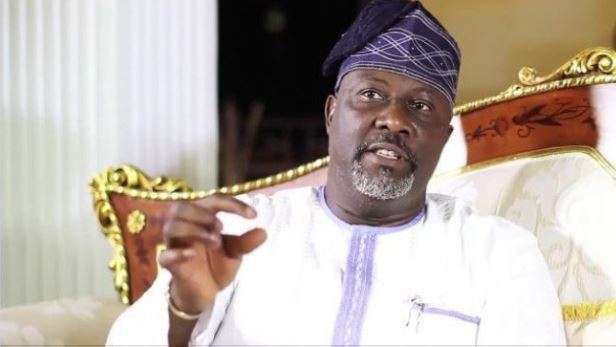 Senator Dino Melaye has noted that there are so many square pegs in round holes in the President Muhammadu Buhari’s administration. Melaye said Buhari’s selections were synonymous to someone wearing oversized shoes, adding that there were lots of nepotism in the President’s appointments. In an interview with Vanguard, Melaye, a chieftain of the ruling party, said, “Let me tell you, in this government, we have square pegs in round holes. “You cannot give carpentry work to a tailor and you expect him to perform. We need to rejig the economy managers of this nation because you cannot give what you don’t have. “Cabinet reshuffle has to do with the ministers. We have strategic positions in this country that is manned by wrong people; a coach is as good as members of his team. “The President cannot be minister of petroleum, Minister of Internal Affairs but if he has good aides, the economy will move because these people will be working within their terrain. “If a tailoring work is given to a carpenter, the output will be a beautiful nonsense. “The president must rejig his appointments. The president should forget about politics and bring out people with vigour, better hands that will get the job done. Such people should be involved in the process irrespective of the party they belong or their tribes. “The SGF misbehaved because he has never worked in any public service in his life before becoming the SGF. “The SGF of a country is the manager of the entire process of Governance. A man that is not imbibed and indoctrinated in the act of civil administration or the rudiments of public administration, definitely he will misbehave. “His appointment is synonymous to someone wearing an oversized shoe and this is applicable to other appointments in this government, there are a lot of nepotism in appointment in this government. “Like I told you earlier, it’s not all about party. Even the president is not an APC president but the president of the federal republic of Nigeria including the witches and wizards of this country. He is the president of everybody. Development process is national and no one should be partisan about it. “If you find a good man in PDP or APGA that can do the job perfectly, appoint him or her in the interest of National development than to bring an APC man that has no idea of what to do.